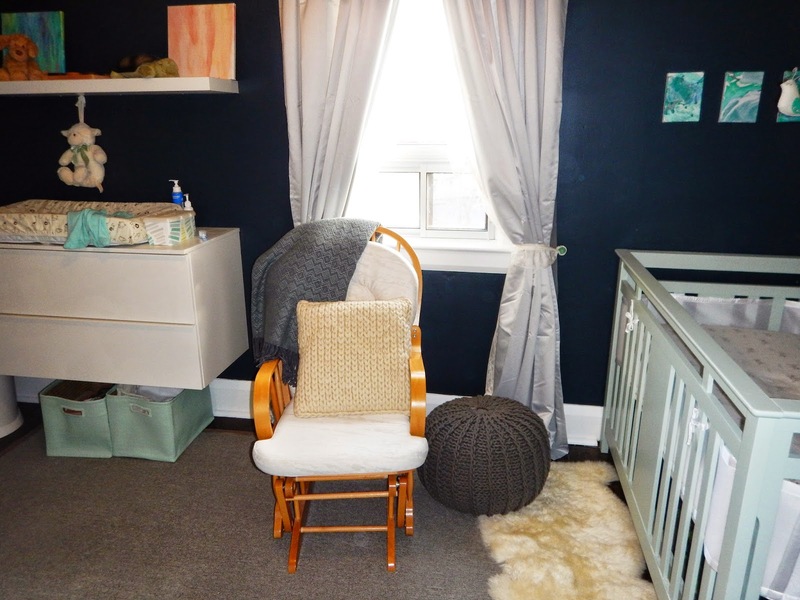 Okay Guys, I have a confession: Remember that bentwood rocker that my mom and brother helped me lovingly paint for the nursery? Yep, that one. Well it broke about a week after Rudy was born. I was sitting on it with her and I heard a disturbing crack. Sometimes the best laid plans... amirite? There were no bentwood rockers available but I found a glider for cheap and I figured it would suffice until we could find a more permanent piece. I never really looked the part but it allowed us to limp along for a few weeks. The glider was fine but I'm generally not a fan of gliders and Rudy has reflux and doesn't care for being rocked. 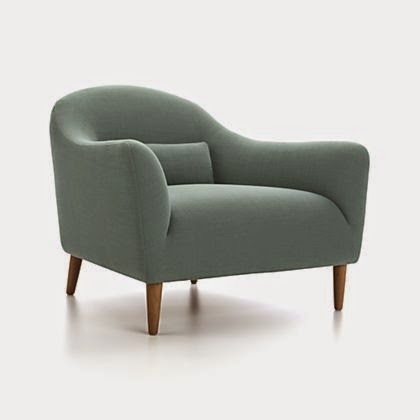 What I really wanted was a cozy arm chair that I could comfortably curl up in with Rudy for years to come. I wanted a chair for bedtime story reading that would be large and cozy but still fit through the narrow doors in our new/old house, which is really not designed for oversized furniture. To us, this was not just about a piece of furniture. Corey and I spend time in the nursery reading to Rudy before bed every night and it's our favourite part of the day and a time we connect as a family even when I'm working crazy hours. We desperately needed a comfortable place to sit and enjoy the time together. 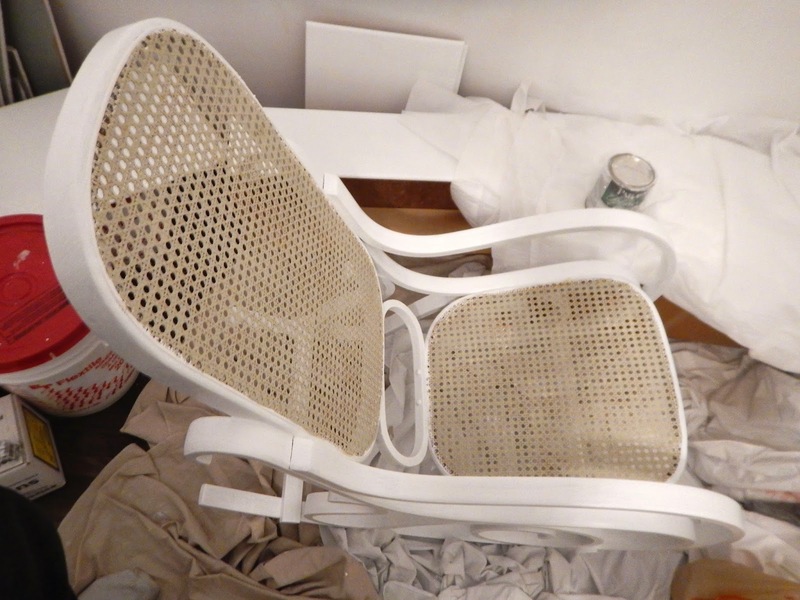 After conducting some research, we went to Yorkdale and ordered Crate and Barrel's Pennie Chair in Cornflower Blue. The colour we chose was a special order and we waited over a month for it to arrive. I don't think I've ever been more excited for a piece of furniture. It finally arrived this weekend and we could not be happier. 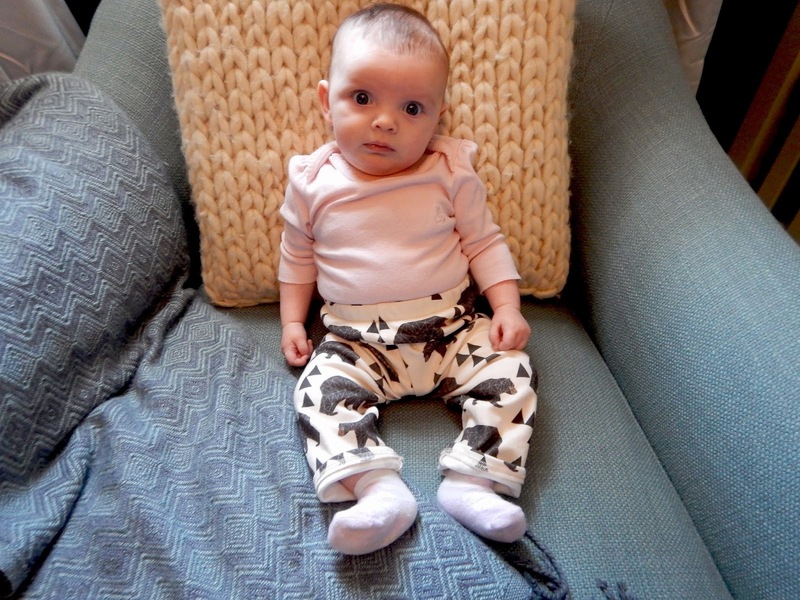 It is comfortable and almost large enough for one of us to sit and read with Rudy ... even when she's much much bigger. I can comfortably sit cross-legged in it and Corey says he could comfortably sleep in it if he put is feet up on the pouffe. 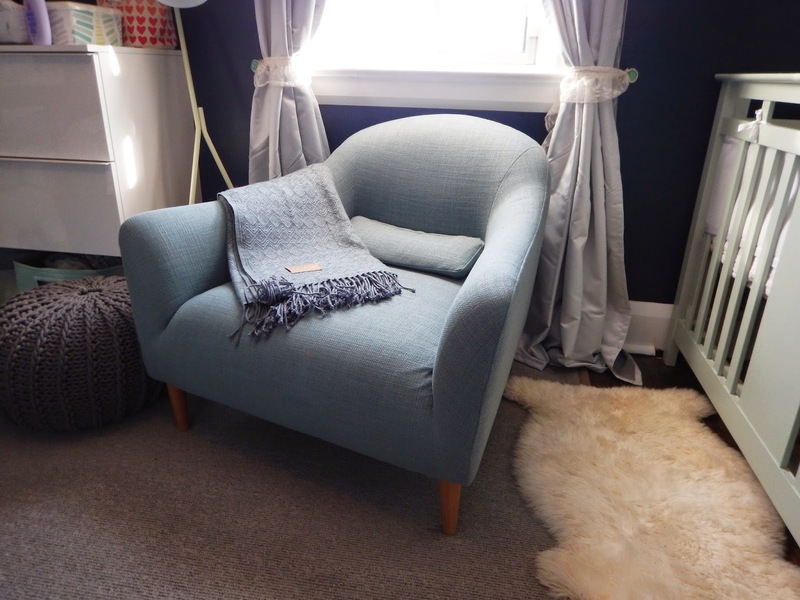 Now we have the perfect reading nook and, while our old bentwood rocker felt nostalgic and sentimental, the Pennie Chair makes us happier. 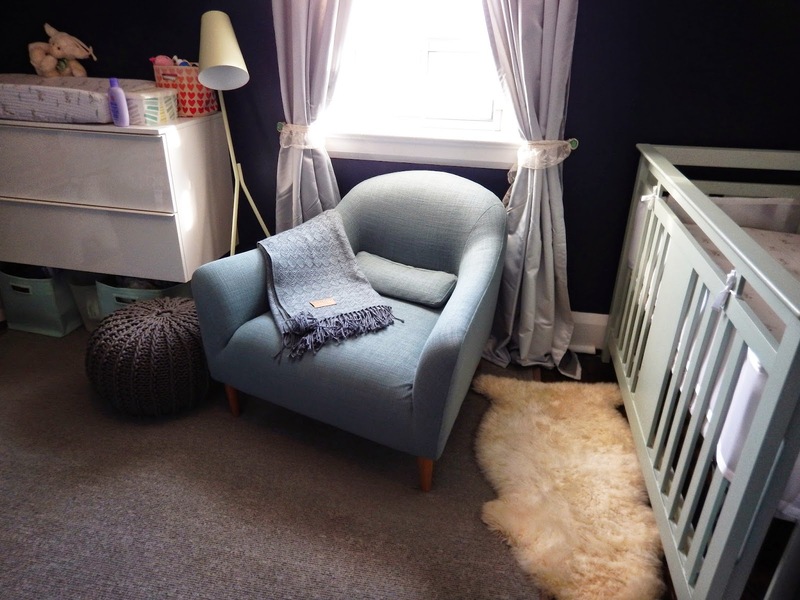 Isn't that shade of blue the perfect compliment to the rest of the nursery? Here, we can picture spending hours and hours reading with Rudy. By the way, the lamp is also from Crate and Barrel. 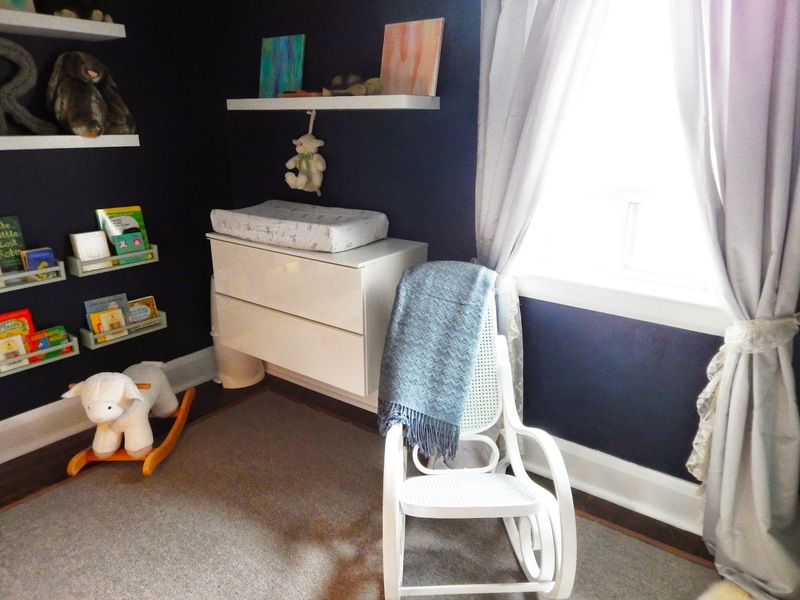 For a full look at Rudy's nursery, check out this post.